2013, ongoing. Lecture, 1 hour. When people think of Jewish sitcoms, they think Seinfeld and Curb your Enthusiasm. Pretty, pretty, pretty great shows, right? But the marriage of Jewish life and sitcoms neither begins nor ends with Jerry and Larry. In fact, without Jews, there would be no sitcoms at all. As the descendant of Yiddish folklore and Borscht Belt-era entertainment, the Jewish roots of the contemporary sitcom run deep. Did you know that Saved By the Bell’s Lisa Turtle was originally conceived as a Jewish character? That Everybody Loves Raymond is based on the dynamics of a Jewish household? Or that Roseanne attributes much of her humour to her Jewish upbringing? Jewish humour and history provide the foundations for television comedy in ways that are not necessarily as obvious as one would think. 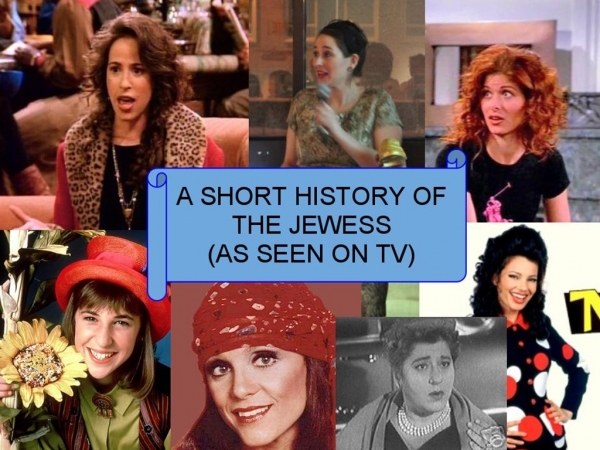 In this informative and provocative presentation, I will trace television’s Jewishness from the first broadcasts to the latest webisodes.